Biondi's Service Center -- Going the extra mile so your vehicle goes many many more. 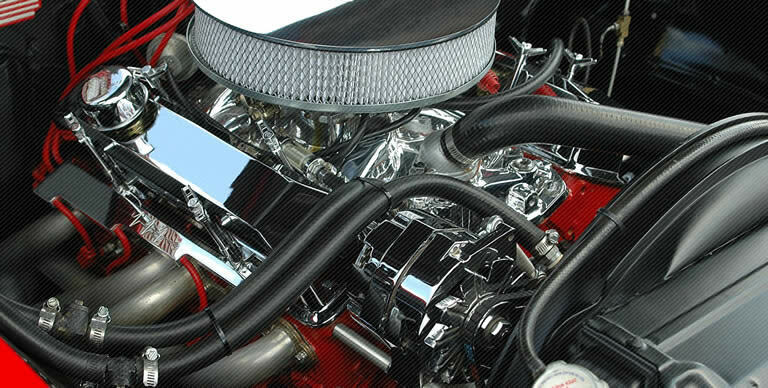 This comprehensive facility covers a wide range of services you need to keep your vehicle running at its best. We have provided quality auto body and mechanical repairs here in Quincy, MA, Since 1964. Expect expert repairs and speedy service from our top-notch team. Working on both foreign and domestic trucks, cars and vans, we know our way around most makes and models. After a collision, our specialists will return that original charm to your car. Trust us to accurately diagnose all mechanical failures. We identify and execute the right repair solutions so your vehicle rides like new. From collision repair to reviving classics, we offer full-service vehicle restoration. We’re devoted to all those on the road in the Boston area. That’s why we offer 24-hour towing and roadside assistance. Experiencing a disabling auto failure or an accident is terrifying. Waiting along the road for help can expose you to more danger. Our tow trucks reach most Norfolk County locations in minutes. With trucks capable of light duty to medium duty towing, we can move most vehicles. Our skilled technicians are fully equipped and prepared to address many vehicular crises. From flat tires to dead batteries, we’re here to rescue you. When your trip takes a turn for the worse, call Biondi’s Service Center! In 1964, my father started the business. Merely a mechanical repair shop then, Dad focused solely on providing great auto repair in Norfolk County. Always respectful and friendly, his courteous nature struck the tone we continue to keep at Biondi’s today. Over the past five decades, the shop grew along with Quincy, MA. Today, that mechanical shop is Biondi’s Service Center, owned and operated by the same family. Our services expanded, offering collision repair, gasoline, towing, roadside assistance, and more to address the needs of our community. We aim to serve motorists in Norfolk County and the entire Boston area. We perform the best auto repair and service to Quincy, MA. Specializing in mechanical repair and auto body work, we can return you vehicle to its former grace. We’re stocked with all the car parts you need and we can order any we may not have on hand. From clunkers to classics, our team of talented mechanics will restore your vehicle functionally and aesthetically. We work with all major insurance companies, and with you, to make your auto repair as affordable as possible. Depend on Biondi’s for 24-hour towing and roadside assistance. Capable of moving most vehicles, we’re equipped for light & medium duty towing. Incidents on the road that leave your vehicle disabled can be very dangerous. Our roadside response team is prompt and polite. With roadside assistance, we supply quick fixes to many mishaps on the road. Call Biondi’s Service Center for quality body and mechanical service from our auto repair experts. "Biondis made my rear ended Toyota look like a brand new car ahead of schedule under budget just simply fantastic. 5 stars. "